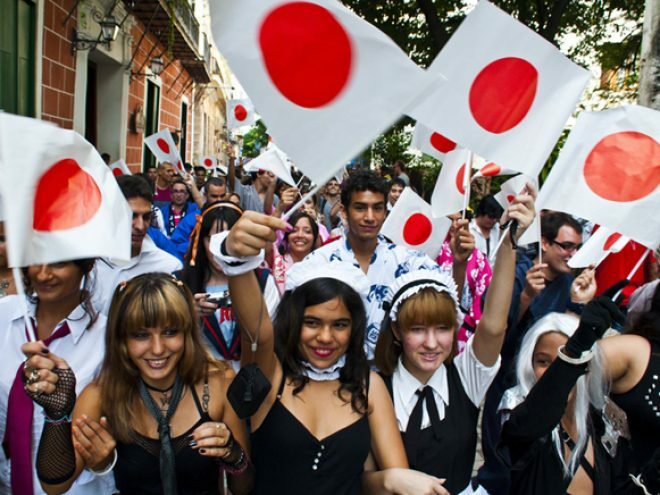 This is an annual event every November, during which Havana is adorned by a variety of motifs from the ancient Japanese culture, thanks to the celebration of the Japanese Culture Week in Old Havana. It is hosted by the Casa de Asia (House-Museum Asia), which is located on Mercaderes Street, one of the most popular and busiest pedestrian streets in the city’s Historical Center, and an interesting example of the eclecticism that is typical to this Caribbean island where different ancient cultures have converged. This week also featured work by the artist Chizuko Owaki, who brought an exhibition made up of her Sansui paintings combined with the Japanese art of flower arranging called ikebana. In addition, the photo exhibition Hanabi (Fireworks) by the Japanese photographer Hideharu Takemoto was opened with the presence of the artist.